We’re definitely a bit biased toward this one! The Agora Grand – taking its name from the Greek word for “gathering place” – is Maine’s newest luxury wedding venue. 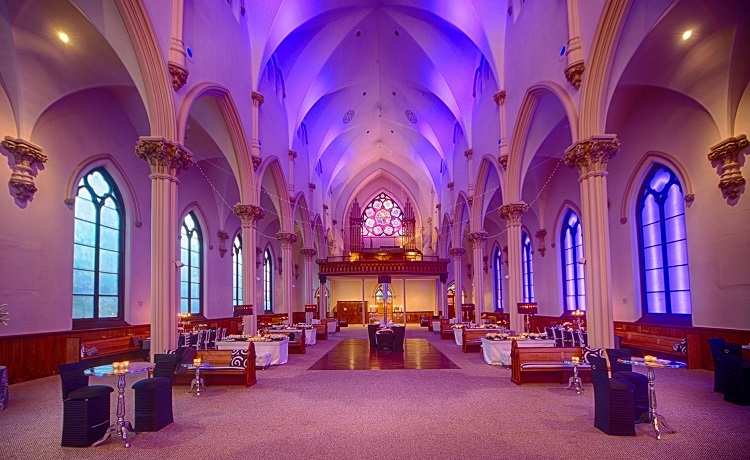 Created from a stately former church with Neogothic architecture and ornate columns supporting 55-foot-ceilings, the Agora Grand offers over-the-top elegance and luxury. You and your guests will be mesmerized by panoramic views from the two-level balcony wedding party lounge and custom uplighting that provide the ultimate “wow” factor for your special day. The Agora Grand is all-inclusive, offering a stunning on-site chapel for your wedding ceremony and a separate Reception Hall for large wedding receptions of 50-350 guests. 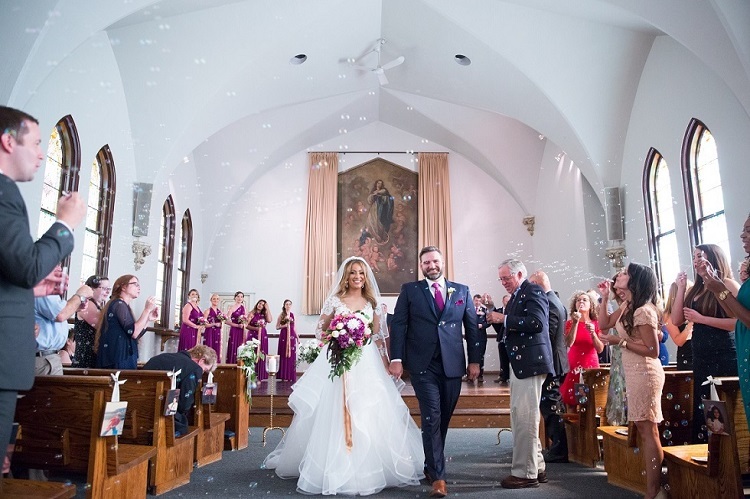 Just next door is the well-appointed and historic Inn at the Agora, a highly-rated boutique hotel perfect for the wedding party, while you and your new spouse stay in New England’s only honeymoon suite built in a church tower. 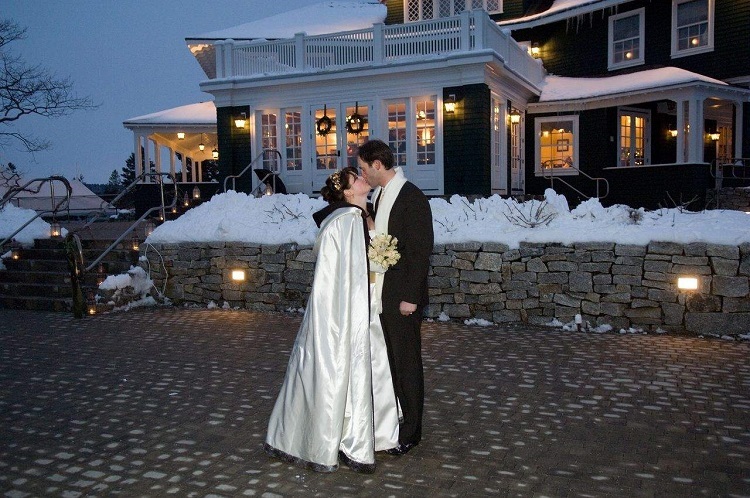 A classic Maine wedding venue, French’s Point screams elegance. 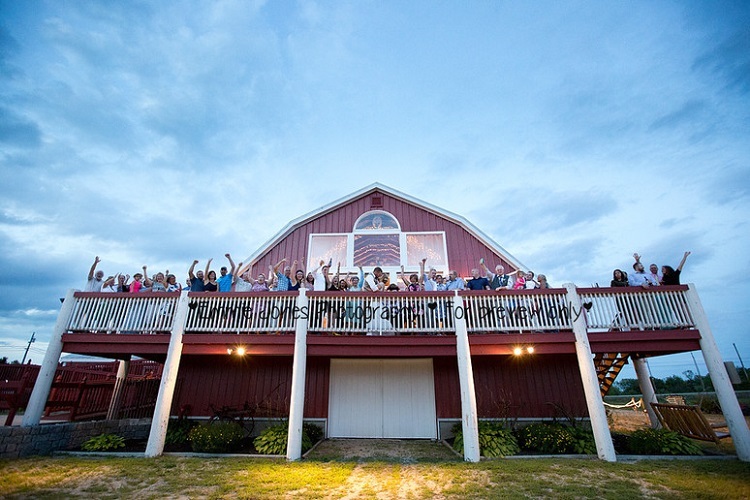 Located on a large private estate on the Maine coast, French’s Point offers their Estate House and grounds, perfect for indoor and outdoor weddings and gatherings of 30-200+, and their adjacent Beach Rose Farm offering accommodations for up to 28 friends and family members. French’s Point includes tables, chairs, dinnerware, and a commercial kitchen, and the owners are some of the nicest and most accommodating in the industry. 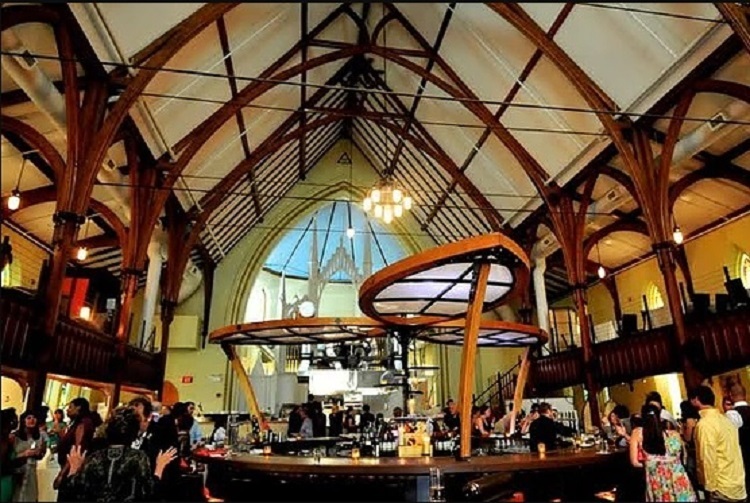 Another converted church, Grace Restaurant in Portland, Maine, was the result of a painstaking rehabilitation process that revived a gorgeous historic building. A highly rated restaurant, Grace is available for weddings and other events in its large downstairs room, intimate gatherings of up to 40 in the former choir balcony, or larger and more elegant affairs in the main bar and restaurant area, showcasing stunning stained glass windows and original cathedral arch work. 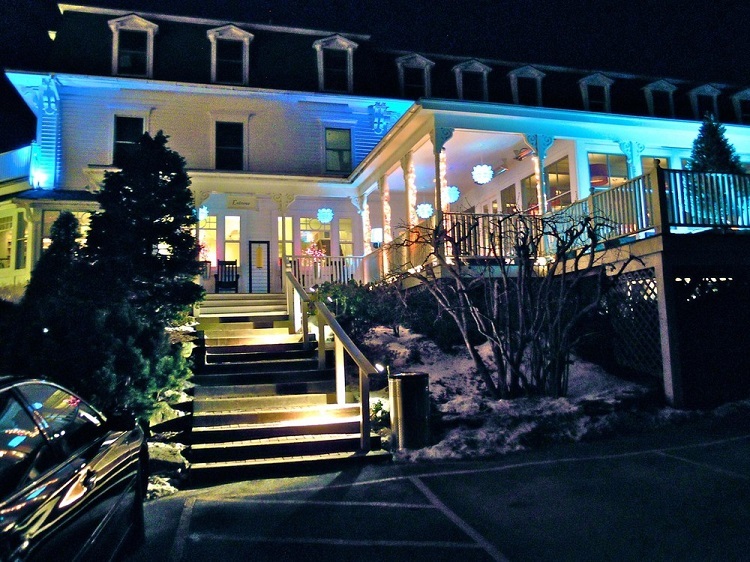 Have dinner there and discuss the option of renting out Grace Restaurant for your special day! OK, so Bishop Farm isn’t technically in Maine… it’s just over the border in New Hampshire… but we HAD to include it in this list. If you’re looking for a rustic barn wedding in an idyllic setting run by some of the absolutely nicest and hardest working people you’ve ever met, Bishop Farm is for you. Originally a bed-and-breakfast showcasing an extraordinary renovated house, Bishop Farm now includes two gorgeous renovated barns – one for your wedding and one for the reception. 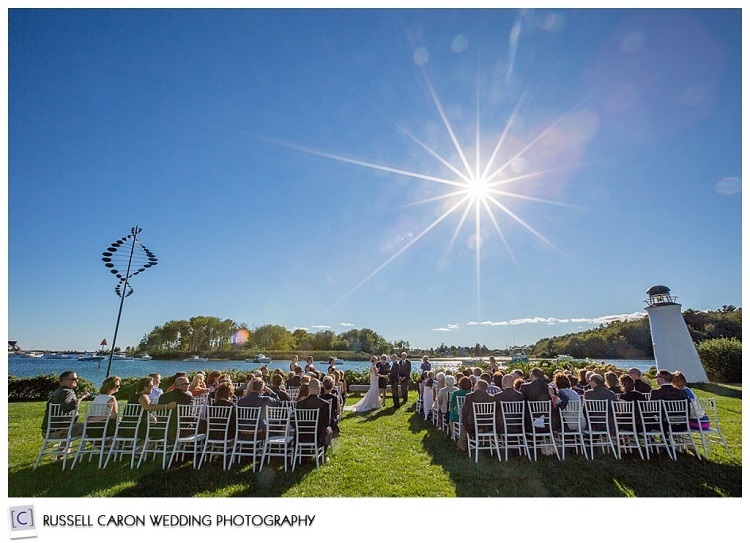 If the weather is good, you can also have an amazingly picturesque wedding ceremony on their secluded grounds. Beside the main house, Bishop Farm also offers several cute and cozy cabins that are perfect for your guests and wedding party. The property is run by a fun, personable family who deeply cares about their brides and works hard to make your wedding day wonderful. 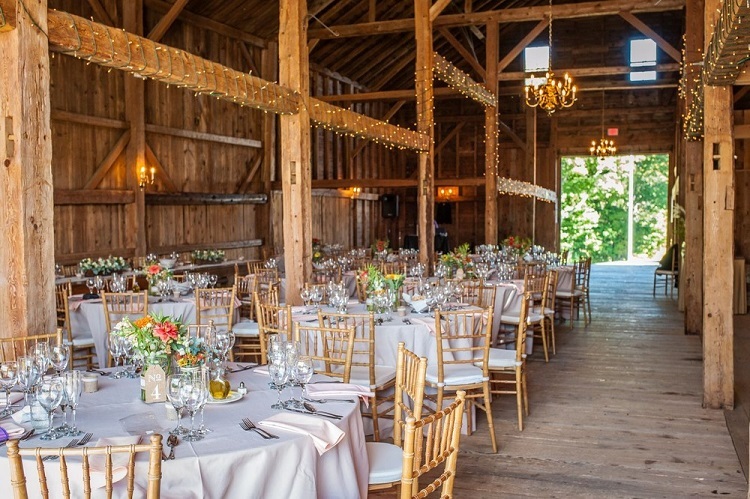 Among affordable Maine wedding venues, the Maine Wedding Barn is a quintessential Maine barn wedding location, offering three ceremony and reception sites on 108 beautiful acres. 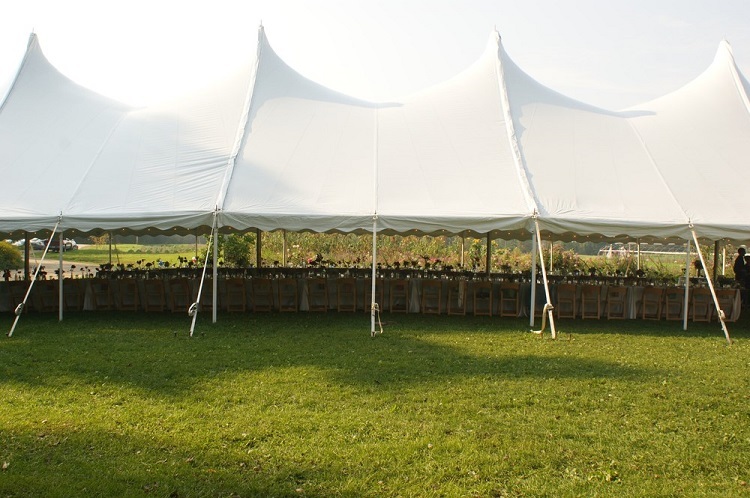 Included in all wedding packages are tables, chairs, linens, and ADA compliant bathrooms. 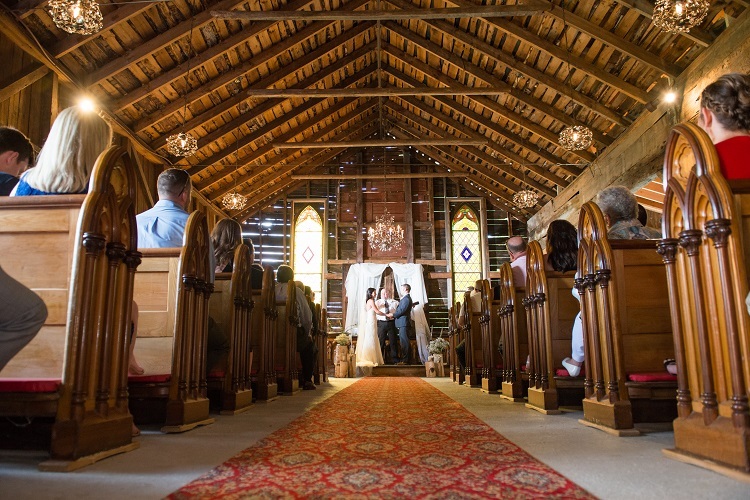 Located near Lewiston-Auburn (or L/A) Maine, The Maine Wedding Barn is owned and run by a knowledgeable couple who will make sure your wedding day is special. A truly luxurious waterfront all-inclusive resort and wedding venue, the Camden Harbour Inn is ideal for a smaller, more intimate wedding. With twenty guest rooms, an onsite restaurant seating up to 70 guests with an additional room for up to 33 more, and outdoor seating (weather permitting) for up to 110 guests, the Camden Harbour Inn offers well landscaped grounds and excellent views. On your wedding day, get pampered with a Swedish massage right on-site! 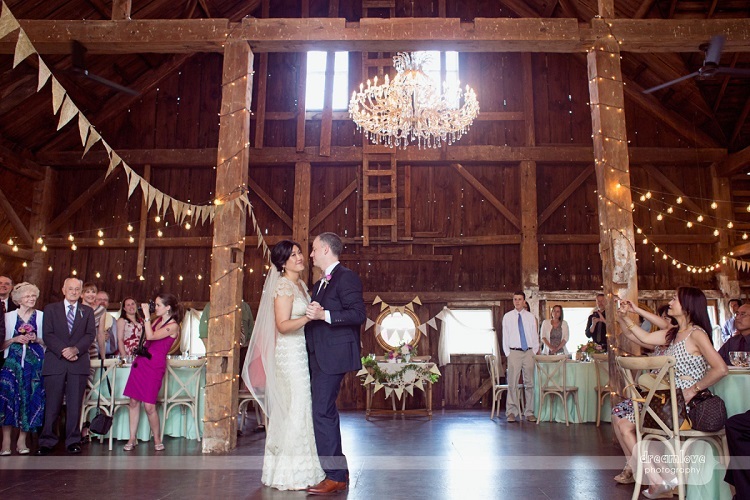 Specializing in outdoor wedding ceremonies followed by cozy and comfortable receptions inside their well-appointed and recently refurbished 200-year-old traditional New England barn, William Allen Farm offers both a gentlemen’s lounge area as well as a bridal suite, perfect for hair, makeup, and just getting ready for your I-do’s. 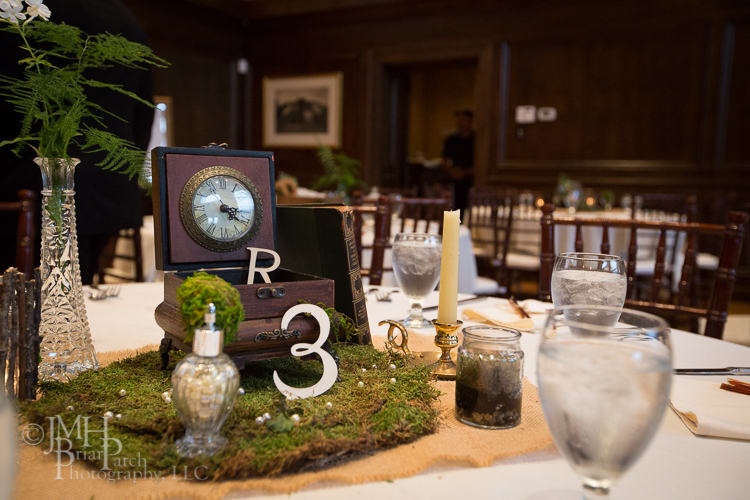 A seasonal venue, the farm offers beautiful grounds bordered by rustic stone walls. 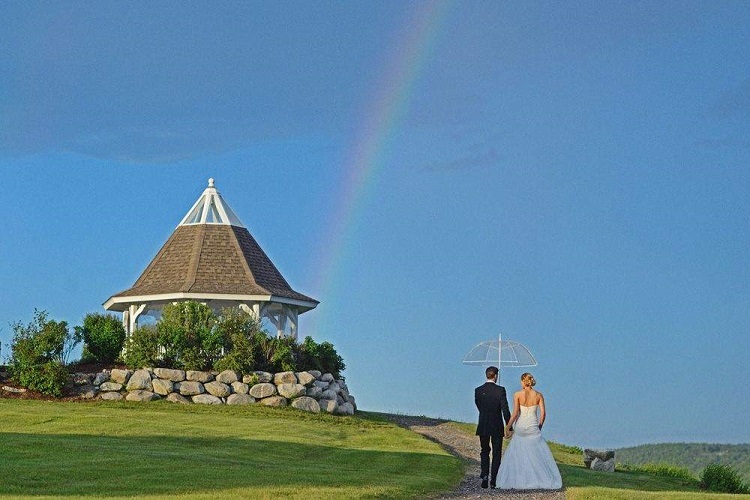 One of Maine’s finest wedding venues, located on the coast of Kennebunkport with incredible water views, the Nonantum Resort is a destination in and of itself. 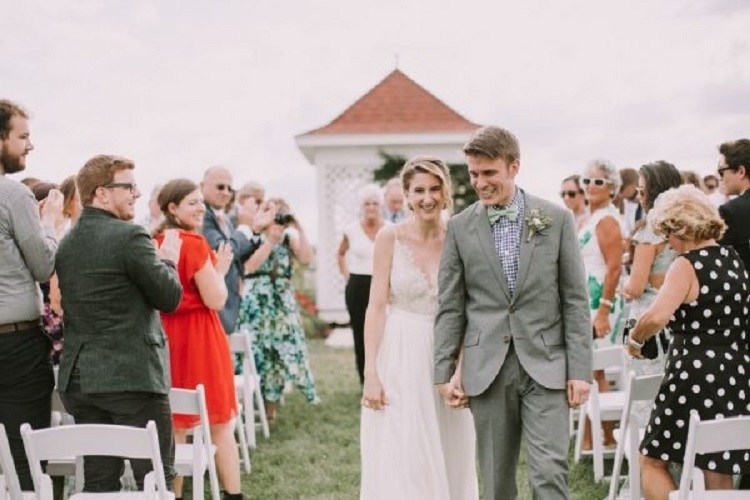 A seasonal venue, the Nonantum can host up to 200 guests in its Ballroom and River rooms, or a larger wedding celebration on the back lawn overlooking the river. An elegant venue with a helpful staff, you can sail, kayak, or just enjoy a lobster bake on the days leading up to your wedding! 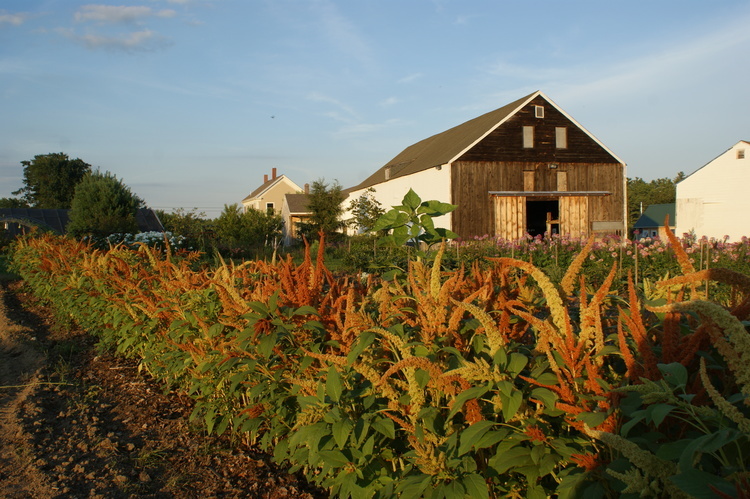 Broadturn Farm is an actual working farm located in Scarborough, Maine, specializing in gorgeous wedding flowers and arrangements. 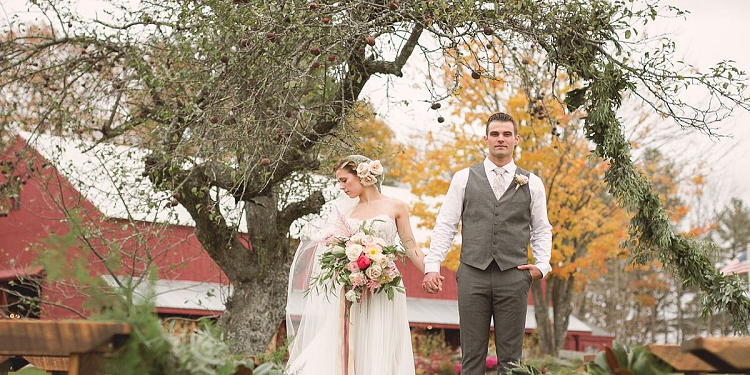 It’s hard to get more natural, rustic, and beautiful than this highly-rated farm and venue that’s been making bridal dreams come true for many years! 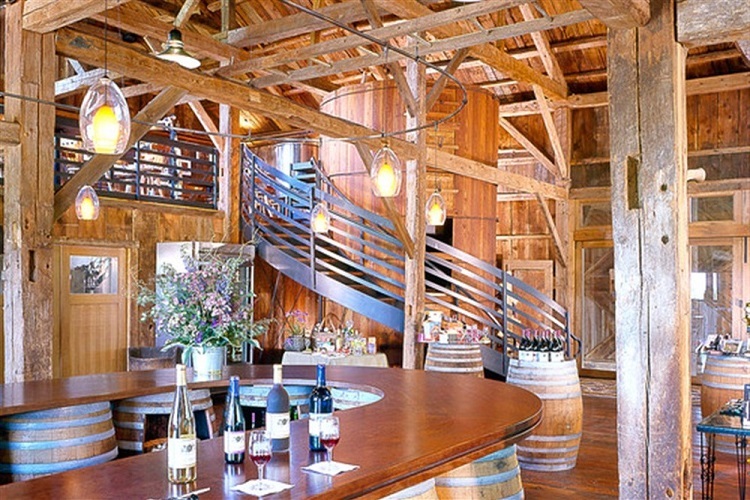 Get married in the barn and have your outdoor tented wedding reception in beautiful surroundings. 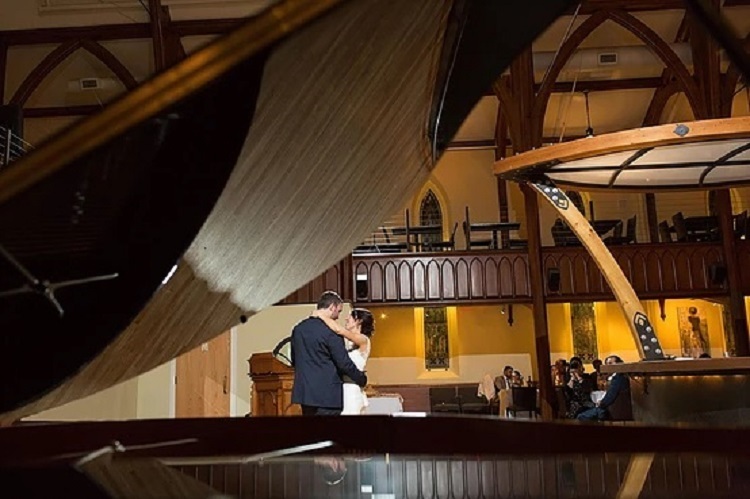 Created from a spectacular historic building, the Royal Oak Room is an elegant venue located in Lewiston, Maine, with on-site catering options in a beautifully restored room. A former train station adjacent to the original tracks, the venue includes outdoor seating for your ceremony and an indoor space for your reception. If you’re looking for some other ideas, check out this great blog post. If you know of other venues that should be included on this list, please comment below!